When it comes to transportation options, it’s tough to beat motorcycles. 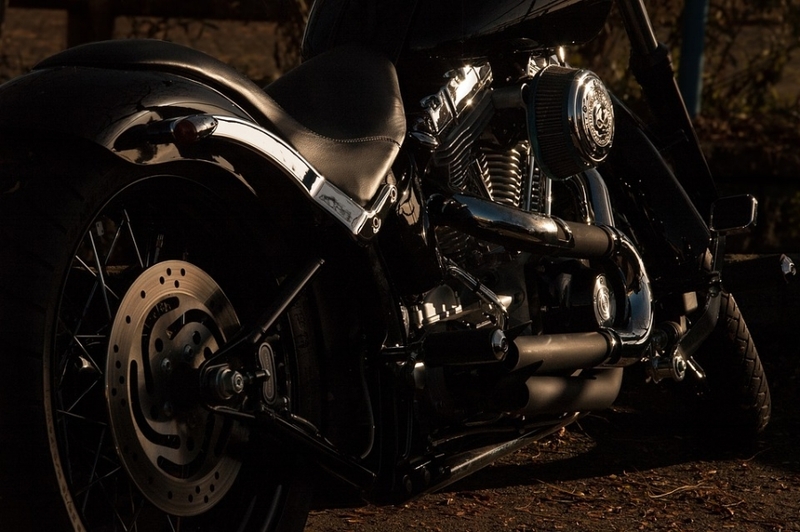 Offering a range of benefits over other options, from lower fuel consumption to a greater feeling of freedom, it’s no surprise that motorcycles are a popular choice that people return to time and again. If you want a form of transport that also offers a unique experience, then a motorcycle is undoubtedly the right choice for you. A simple point, but one that undoubtedly needs to be made. If you look through online adverts, classified listings, and auction sites, you’ll usually see a list of pre-owned bikes that can be purchased at a knockdown price. These are undeniably tempting, but they also carry substantial risks that offset the benefits of the cost-saving. Even if you are focused on price as your main purchasing point, it’s important to factor in the need for safety. To achieve this, your best choice will usually be to visit the likes of www.CleanHarleys.com rather than buy from a classified listing or website. A reputable dealer will ensure that the bikes they sell are in the best possible condition, both cosmetically and - most importantly - in terms of safety. Yes, you might be able to cut an extra few dollars off the price by buying a bike from a regular seller, but the saving isn’t worth it due to the additional safety risks this choice carries. In addition, it’s not just safety that makes buying from an established vendor the preferable choice. If you purchase from a domestic seller, then the transaction ends when you finalize the sale - you have relatively little recourse should you experience problems with the bike. However, with an established dealer, you do have recourse, and potentially even a guarantee of some sort, which makes this choice a far more sensible financial decision for the future. While the most important advice we can give is to buy from an established dealer, there are still a few buying tips you’ll want to keep in mind. Most dealers will ensure that their bikes are safe and ready for sale, but there’s no harm in making sure and performing your own checks - the more informed your purchasing choice is, the better. It’s worth noting that these tips are also suitable if you choose to buy from a domestic seller; while this is not an advised source, these steps should at least ensure you purchase a safe and roadworthy bike if you do explore this option. If you see signs of corrosion in these areas, be cautious when considering the sale. After all, if you can see obvious corrosion on the parts of the bike you do have access to, there’s a chance the problem is more substantial in hidden areas. Signs of corrosion doesn’t mean you can’t buy the bike in question, but it does mean that you need to be more cautious, and always buy with the knowledge you’ll likely need to spend time removing the rust in future. Most motorcycle batteries need to be changed every two to five years, so the age of the battery may not correlate with the age of the actual bike. It’s therefore important to ask how old the existing battery is and, if the battery has been replaced in the past, asking if there is any documentation to prove this. If the battery is nearing the end of its life, then this doesn’t need to impact your purchasing decision too much. Replacing a motorcycle battery is relatively affordable, and online guides such as www.UltimateMotorcycling.com can help make the process of purchasing a new battery as simple as possible. However, you’ll need to keep the need for a replacement in mind when it comes to price, as you can be fairly sure this is a cost you’ll need to cover soon. If the model you are considering has an older battery, use this as a jumping-off point in an effort to get the best possible deal. It’s also useful to choose your test ride route carefully, ideally ensuring that you cover different surfaces. If possible, head for areas where the road surface is less than perfect - this provides a great opportunity to check the suspension and comfort of the ride in less-than-ideal conditions. When looking to buy a pre-owned motorcycle, avoid private sales and instead look to buy from a reputable dealer. This choice, combined with the additional considerations as detailed above, should ensure that you’re able to find a pre-owned bike that is capable of delivering a huge amount of enjoyment in the future. Good luck!